I love little dogs, big dogs, fluffy dogs, old dogs, fast dogs…………. I love them all. But not everyone feels the same way. Unless you have a fear or a strong dislike of dogs most people would crack a smile if a golden retriever came ambling towards them. It’s often a different story though if the dog is a mixed breed – especially something like a staffy/lab mix. I am not an animal behaviourist, dog trainer, vet or indeed any sort of animal care expert, but being a pet photographer for several years I’ve seen a lot of interactions with dogs and heard a lot of anecdotes that have really got me thinking! And I think mixed breed dogs need some positive PR. So I created this book. 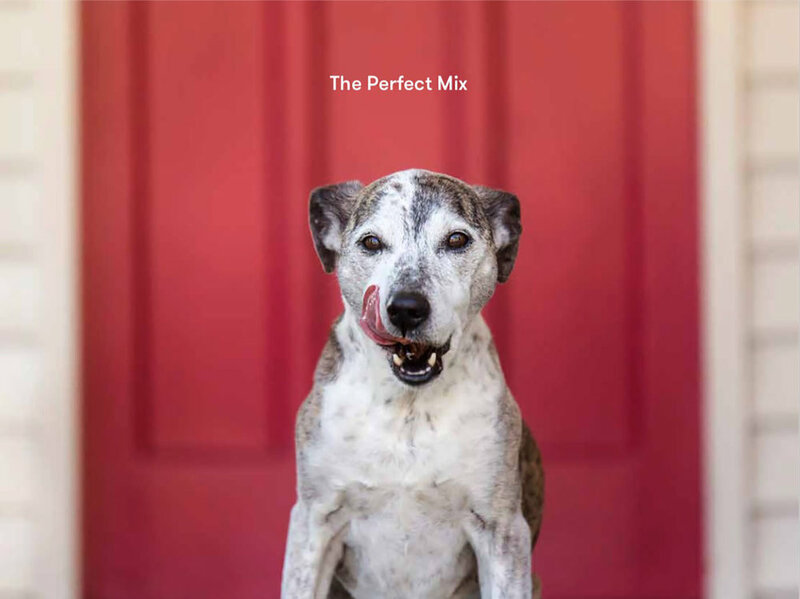 I photographed over 60 beautiful, mixed breed dogs with the aim of showing that the term “mixed breed” covers a huge range of dogs from the tiny to the giant, shy to out-going, purpose-bred or the lucky dip surprise – each one it’s own unique masterpiece. These dogs are all loved members of a family. “Mixed Breed” is just a name – it’s not something to be feared. 10% of the sale price of each copy will go to SPCA New Zealand. I have already donated $2,000 to SPCA Wellington from the portrait sittings for the book. The book is a soft cover book with 108 pages, measuring 210 x 280mm. The book is printed on an environmentally responsible paper, produced using Elemental Chlorine Free (ECF), Third Party certified pulp from Responsible Sources and manufactured under the strict ISO14001 Environmental Management System. Fine print: All prices include GST - All rights reserved. This book or any portion thereof may not be reproduced or used in any manner whatsoever without the express written permission of Jo Moore Photographer - All sales are final.